You choose to share the basket. Up to 6 passengers in the basket. There is a stipulation that the weight of the passengers must be considered. 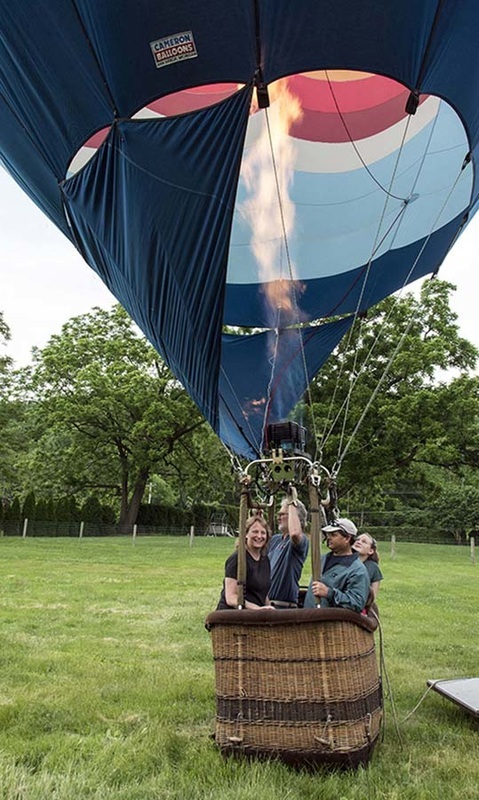 More than two in your party - great - as long as we can lift more than two passengers per balloon - you save. Don't forget we meet behind The Spain Inn II Restaurant where dining can be arranged either before or after the flight.